I love to do fancy bento lunches for my kids during the school year, but most days I am just looking for ways to get them out the door with a good lunch that they will actually eat, and that is simple and affordable for me to throw together on busy school mornings. Trying to get multiple kids out the door, lunches can become a challenge. To make things more convenient for us on busy school mornings, I like to go back to the basics sometimes. Keep things simple. 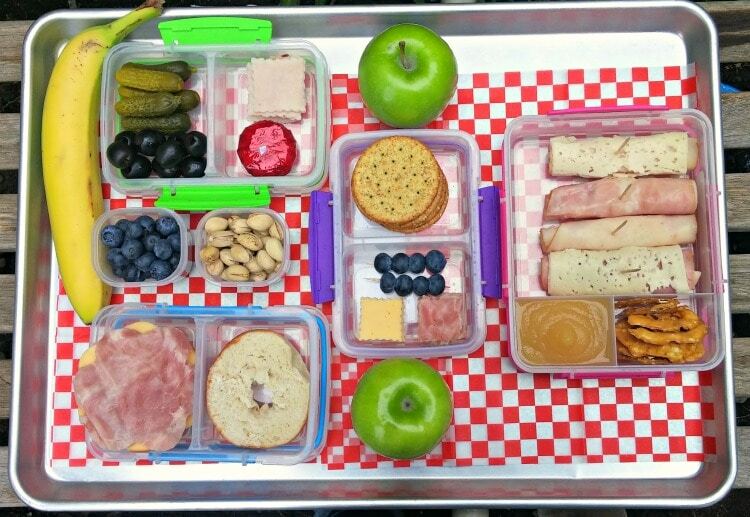 To do that here, I used Hillshire Farm lunch meat and a few side ideas, and have 4 different lunches I can send the kids with each week. You could easily make one more with some new sides, if you wanted 5 full days of lunches, but I know many people let their kids buy one day, or have leftovers to send here and there, so this allows for some flexibility in your lunch planning. Recently I stopped in at WinCo to grab some items I knew I could put together to use to make simple lunchables for Back to School time. In addition to making things easy, I also have a budget I try to stick to, so WinCo is a great option to get all the items needed at a great price. Their prices are always low, so it takes the planning out of trying to save money on back to school lunches. 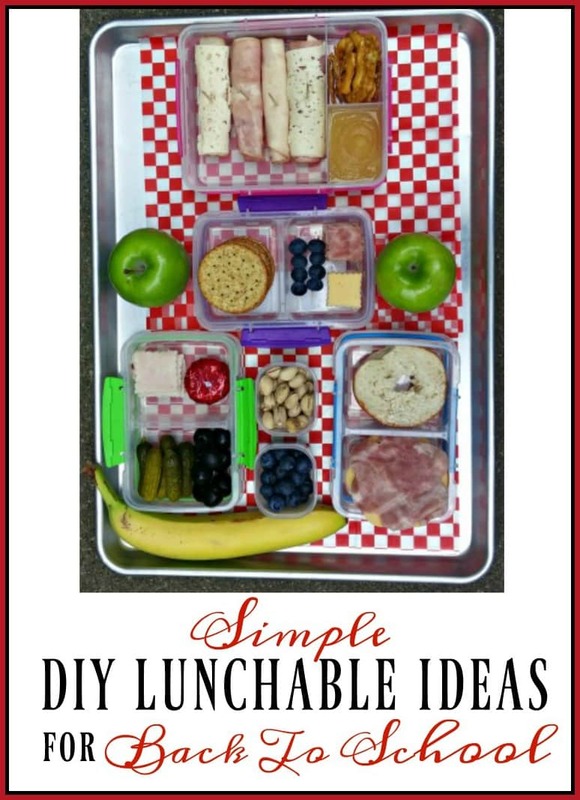 To keep it really simple I made 4 different lunchables using Hillshire Farm lunch meat for a picnic for my kids as well as many of the neighborhood kids, to test if these would work for the school year. They cleaned the tray up. 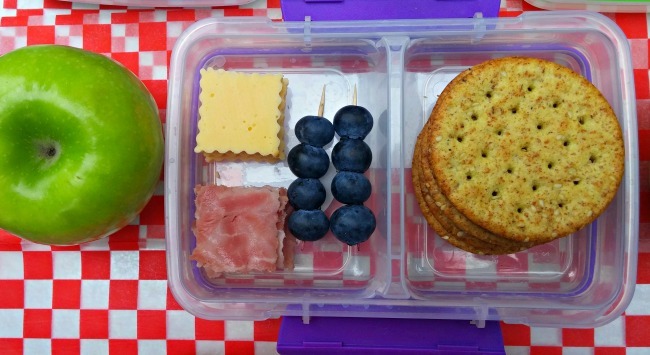 They ate it all, so I am considering these DIY Lunchables “kid approved” at my house. Turkey Day Lunchable. This one is inspired by so many of the things my kids love to eat on Thanksgiving. They love black olives (to put them on their fingers), baby dill pickles and hor d’oeuvre style cheese rounds. I layered the Hillshire Farm turkey lunch meat and then used a cookie cutter to cut the meat into lunchable style squares (easy for kid size fingers to pick up and eat). Homemade Cracker, Cheese and Meat Lunchable. This is my version of the standard cracker, cheese and meat lunchables you can grab at the store. I prefer to make them myself as I can use whole wheat crackers, add in blueberries or other fruits my kids love and some pistachios. I love to use toothpicks to make kid-sized berry kabobs for their lunches. For some reason they seem to eat the fruit better when they can pull it off a kabob. Mini Bagel Sandwich Lunchable. For this lunchable, we layered a few pieces of Hillshire Farm lunch meat and used a flower shaped cookie cutter to cut the meat in the shape of a flower. We also cut the cheese in the shape of a flower. 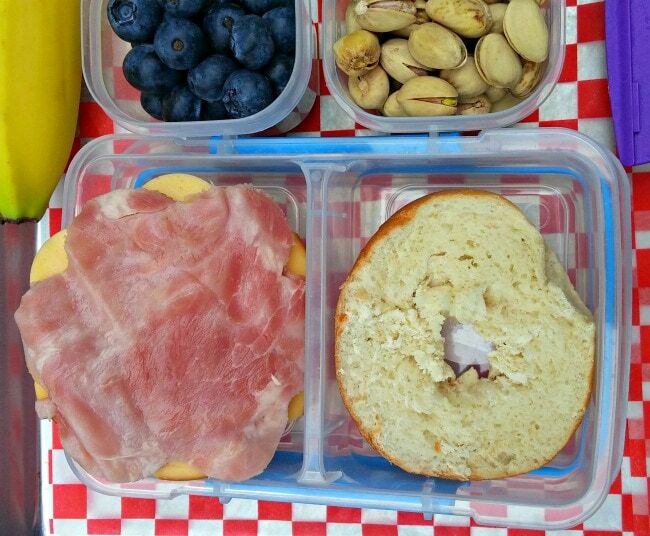 Next, we used mini bagels to make a small sandwich that is the perfect size for a lunchable (you can make more than one if your child is a bigger eater). 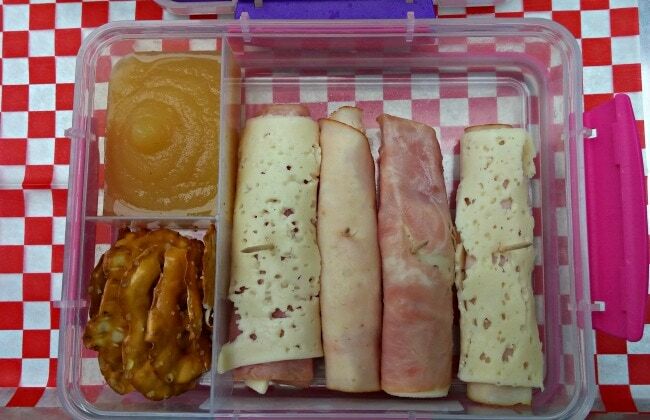 Meat and Cheese Roll Ups Lunchable. Here I use my kids’ favorite combos of meat and cheese, and roll them up. Here we made turkey and gouda roll ups and ham and havarti rolls ups. It works best to stack two or three pieces of meat, and then a slice of your child’s favorite cheese. Roll it up, and secure it with a toothpick. Jimmy Dean fully cooked sausage – Make a breakfast lunchable with sausage links, fruit, and cereal or cinnamon rolls. I love to send a fruit smoothie to school with my kids too. Ball Park hot dogs – If your kids like hot dogs you could send them a hot dog and fruit and yogurt etc. Jimmy Dean breakfast sausage rolls – I love to cook the sausage up the night before and use it to do DIY pizza lunchables for kids. I use gyro pita bread for the crust but you could use a tortilla too, and send my kids with some shredded cheese, crumbled sausage and pizza sauce. They can make their own personal size pizzas by putting all the ingredients together and microwaving for 60 seconds at school. 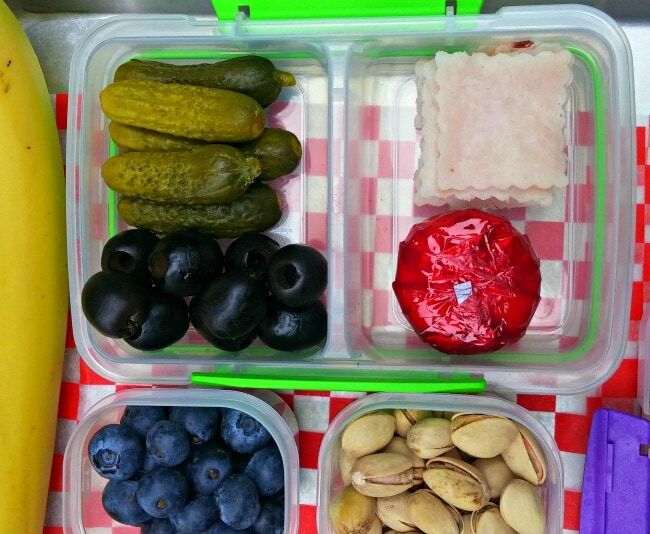 Send the lunchables to school with your kids packed over a frozen ice pack to keep it fresh until lunchtime, and their favorite drink, and lunchtime just got a whole lot simpler!